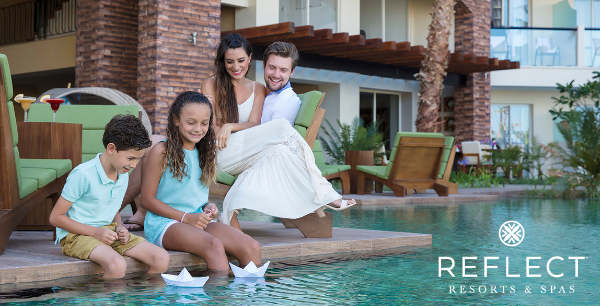 Raising all-inclusive to a New Level of Luxury®, every one of the AMResorts brands features Endless Privileges®, Unlimited-Luxury® or Unlimited-Fun®. You can count on no wristbands, PADI diving, beachfront settings, and at some locations their Sip, Savor and See option to dine at neighboring AMResorts properties. Discover which one is right for you. If you’re someone who holds your vacations to the highest standard of luxury, Zoëtry Wellness & Spa Resorts are for you. This resort brand specializes in seclusion and appeals to the health-inspired and those who crave culture with their Endless Privileges®. That means unique inclusions like a traditional Temazcal ceremony at Zoëtry Paraiso de la Bonita Riviera Maya or a cooking class at Zoëtry Villa Rolandi Isla Mujeres Cancun. They have the first certified Thalassotherapy center in North America and guests get the 20-minute treatment complimentary. It’s literally therapy from the sea. The discerning traveler will appreciate their expressive architecture, enriching environment, and socially responsible practices. Zoëtry Wellness & Spa Resorts are located in Cancun and the Riviera Maya in Mexico, Punta Cana in the Dominican Republic, and Montego Bay in Jamaica. Are Zoëtry Wellness & Spa Resorts a little too zen for your liking? We’ll let you in on a secret. Escape into luxury with the adults-only Secrets Resorts & Spas. Beach lovers can’t get enough of their beachfront settings and couples love the romantic vibe for their adults-only getaway. Unlimited-Luxury® makes sure everything’s included like 24-hour concierge service, room service, and top-shelf spirits. Try sushi-making classes at Secrets Silversands Riviera Cancun or a wine tasting at Secrets The Vine Cancun. Secrets Resorts & Spas are located in Cancun, Los Cabos, Cozumel, Puerto Vallarta, Huatulco, Montego Bay, Punta Cana, and Costa Rica. Ready to live your best life? This next brand will take your breath away. Does vacation bring out the social side in you? Breathless Resorts & Spas appeal to any single, couple, or friend group looking for an adults-only zone with upbeat vibes. Note that sophistication is their forte. Live big from day until night with DJ hosted pool parties followed by exciting nightly club scenes. Breathe deep with a treatment at the world-class relax Spa by Pevonia®, a quick workout at the fitness center, or a sundrenched day on the beach. This resort brand already provides Unlimited-Luxury® so just imagine what it’s like when you upgrade to their xhale Club; upgraded suites, butler service, exclusive lounge access, private balcony hot tub, and more. 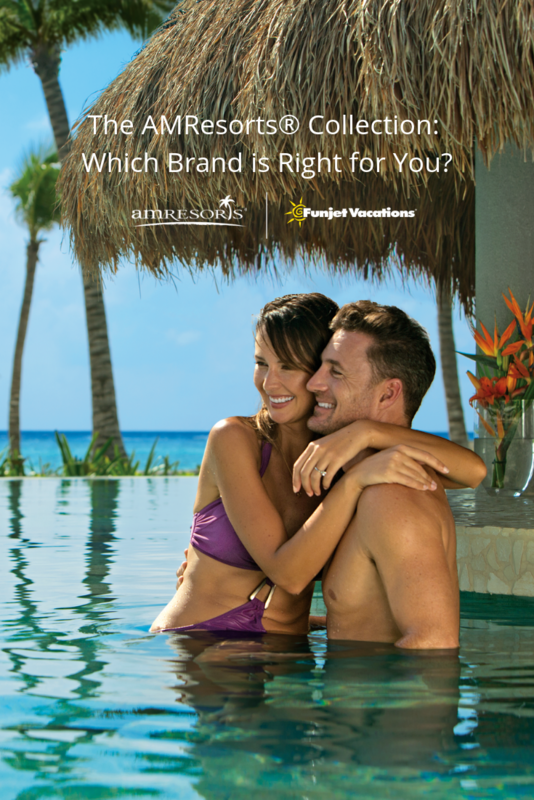 Breathless Resorts & Spas are available in Cancun, Los Cabos, Punta Cana, and Montego Bay. Need something a little more family-friendly? This next resort brand is what vacation dreams are made of. 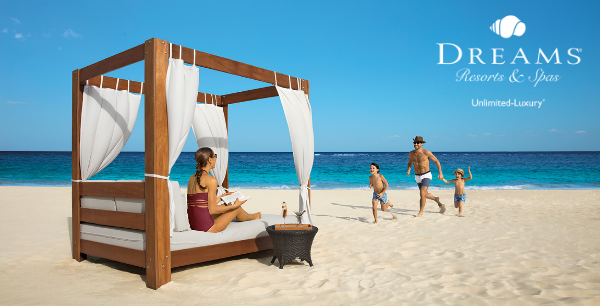 Whether you want ultimate alone time or would love a retreat for the family, Dreams Resorts & Spas offers it on a silver platter. For alone time, the Explorer’s Club for kids and Core Zone Teens Club will keep everybody happy. Dreams Playa Mujeres Golf & Spa Resort has a waterpark for all ages and just like the xhale Club, the Preferred Club brings luxury a step further with exclusive access to a lazy river. Regardless, you’ll be satisfied with their Unlimited-Luxury® meaning standard luxury is included. 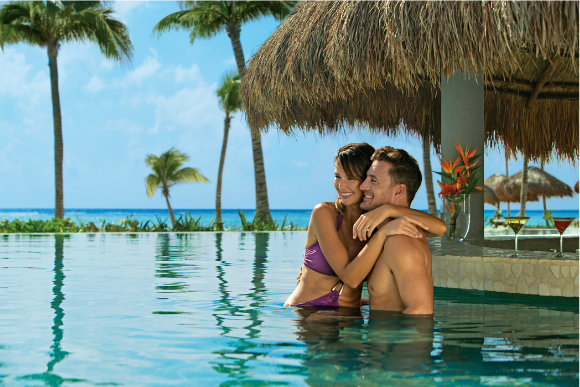 Dreams Resorts & Spas are available in Cancun, Los Cabos, Puerto Vallarta, Huatulco, Punta Cana, Costa Rica, and Panama. Looking for a vacation the whole family will enjoy? This next one might be a better fit. 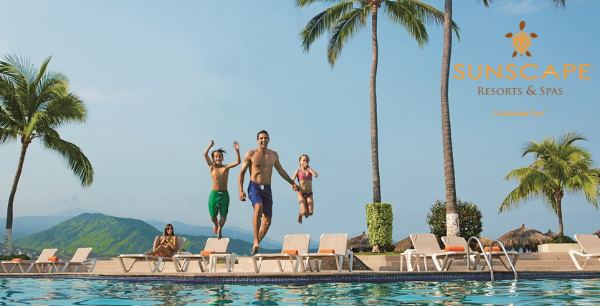 For the families into multigenerational travel, Now Resorts & Spas are the answer to your family vacation wishes. The spacious rooms and suites with luxurious amenities make this resort brand the perfect fit for a big family getaway. Not to mention entertainment for all ages including an Explorer’s Club for kids and a Core Zone Teens Club. Don’t let the convenient group setup fool you; their properties are great for couples, friends, and smaller families. Anyone can enjoy Unlimited-Luxury®. Now Resorts & Spas are available in Cancun, Puerto Vallarta, and Punta Cana. Are you a loyal AMResorts Collection vacationer looking to try something new? We’ll introduce you to their newest member. Cooking classes, wine and tequila tastings, oh my! Never get bored at Reflect Resorts & Spas. This resort brand is a great option for practically anyone; family vacays, couples retreats, friends getaways, you name it. Stay active with beach sports and non-motorized water sports or seek out some R&R at their spa. The Explorer’s Club for kids will come in handy so you don’t have to worry about the kids during me time. 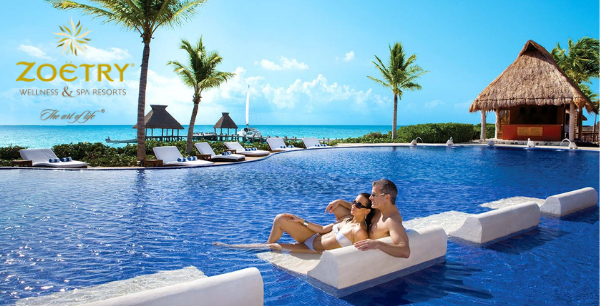 Reflect Resorts & Spas are available in Cancun, Los Cabos, and Puerto Vallarta. Are you a kid at heart? This next resort brand is right up your alley. When it comes to a family vacation, Sunscape Resorts & Spas know accommodations are important to ensure the whole family vacations comfortably. Their rooms are spacious and include private terraces, connecting rooms and kid’s amenities. They’re also the most budget conscious brand in the AMResorts Collection and #1 for Unlimited-Fun® which means everything is included. Your kids, and even you, will love the on-site Pirate’s Paradise Waterpark at Sunscape Cove & Sunscape Splash Montego Bay. If you want some fun without the kids, their supervised Explorer’s Club for kids and Core Zone Teens Club have your back. Sprinkle in more luxury and upgrade to the Sun Club to get private lounges, pools, bars, and beach area. They even make the kids feel extra special with red carpet stairs, treats, and resort passports when they check in. Sunscape Resorts & Spas are available in Cancun, Puerto Vallarta, Cozumel, Puerto Plata, Ixtapa, Montego Bay, and Curacao. Whichever AMResort you choose, you can bet on downright luxury.